Sluggish Steering. ASK Us ‘ Steering Squeal. (HOW! Hardened Seals & Leaks. LOSS OF STEERING! Eliminates Power Steering noise, whine and squealing. Provides easy startup in cold climates. Prevents stiffness ad reduces wear in rack and pinions. Protects seals and hoses from hardening and shrinking. 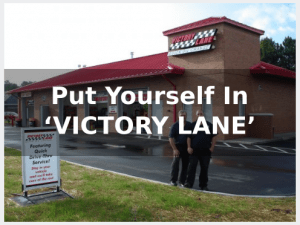 Victory Lane Performance Products Power Steering Fluid is a balance of chemicals that not only protects the Power Steering System hardware from wear and rust, but also ensures adequate flow properties.